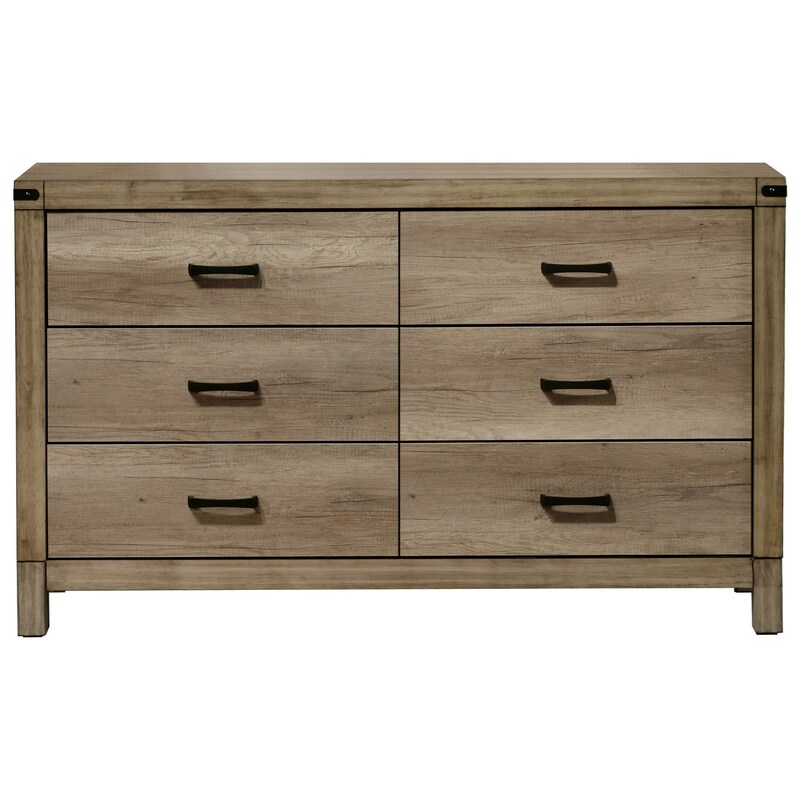 The sleek dresser has a light grey finish, a clean frame, and flat drawer panels. Black metal bar hardware matches the accents on the top corners of the frame. Pair with the bed in this collection for a stylishly refined bedroom set. The Matteo Contemporary Six Drawer Dresser by CM at Michael's Furniture Warehouse in the San Fernando & Los Angeles area. Product availability may vary. Contact us for the most current availability on this product. This contemporary bedroom collection features a fresh grey finish and simple clean lines. The centerpiece of the collection is the sleek low profile bed with an upholstered headboard. A nightstand, chest of drawers, and dresser provide plenty of convenient bedroom storage space. The Matteo collection is a great option if you are looking for Transitional Contemporary Casual furniture in the San Fernando & Los Angeles area. Browse other items in the Matteo collection from Michael's Furniture Warehouse in the San Fernando & Los Angeles area.